Franklin, Tenn (February 22, 2016) Gospel Music legend, Richard Fay “Buck” Rambo, beloved patriarch of the Gospel music family, The Rambos, died, February 21, 2016, in Palmetto, FL at the age of 84 surrounded by his loving wife Mae and family members. He was born in Dawson Springs, Kentucky, son of Noah Burton Rambo and Mary Irisilda Rambo. Buck was married to Mae Kutz Rambo on April 1, 1995. Survivors include his wife Mae, daughter Reba Rambo (Dony) McGuire, grandchildren Israel Anthem McGuire, Destiny Rambo McGuire, Dionne (Scott) Dismuke, Dyson Dismuke, sister Hilda Bullock, brothers Donald (Betty) Rambo, Jackie (Shirley) Rambo of Dawson Springs, KY, sister-in-law Anna Jo Rambo of Hopkinsville, KY, and brother-in-law James Ausenbaugh. Memorials may be made in his honor to “The Buck Rambo Memorial Fund”, 3009 Columbia Avenue, Franklin, TN 37064. Visitation will be 2-8PM Sunday at Williamson Memorial Funeral Home, 3009 Columbia Avenue, Franklin, TN 37064. Funeral services to celebrate the life of Buck Rambo will be 2:00 PM Monday at the Church of the City, 828 Murfreesboro Road, Franklin, TN 37064. Nashville, Tenn (February 21, 2016) Gospel Music legend, Richard Fay “Buck” Rambo, beloved patriarch of the Gospel music family, The Rambos, died, February 21, 2016, at 6:02 PM in Palmetto, FL at the age of 84 surrounded by his loving wife Mae and family members. He was born in Dawson Springs, Kentucky, son of Noah Burton Rambo and Mary Irisilda Rambo. Buck was married to Mae Kutz Rambo on April 1, 1995. After The Rambos disbanded in about 1994, Buck continued to travel and minister with his wife, Mae, for the next several years doing concerts in churches and as a missionary in many countries, with his latest trip being to Costa Rica in 1999. In retirement Buck spent his time visiting hospitals, nursing homes and praying for the sick as well as painting beautiful stills. He toured occasionally with Rambo McGuire and was a featured soloist on their projects, Rambo Classics and Dove-Award winning Grassroots Rambos. Buck Rambo’s career spanned 60 years and includes many accolades including numerous GRAMMY and Dove Award nominations. 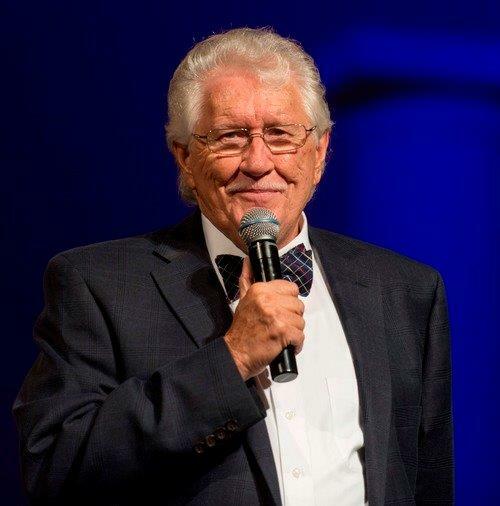 He became a Christian in 1949, went into full-time ministry in 1954, and in 1960, he started a Gospel singing group, The Gospel Echoes, which later became The Singing Rambos with daughter Reba and her mother Dottie. He was one of the first Board members for the Gospel Music Association and a founding father of the Gospel Music Hall Of Fame. In the early ’60s, Buck was a member of the Board of Directors for the National Quartet Convention. In 1964, Buck sang for over a million people at the first Washington For Jesus Rally. He is author of the book, The Legacy of the Rambos, and was on the first Gaither Homecoming video. The Rambos were asked to go to the Strategic Air Command Bases in 1966 and went on a six-week tour of our northern outposts in Greenland, Newfoundland, Labrador, and Iceland entertaining the United States’ troops. In February of 1967, because of the tremendous response to the Arctic Tour, they embarked on a six-week tour to Vietnam to sing for the US military forces there. This was a life-changing experience for The Singing Rambos. They also participated in concert tours for the military several times in Europe and ministered in over 16 different countries doing live concerts and television, including a concert with the Holland Symphony where they sang for 350,000 people. In 1968, The Singing Rambos began working in television. They were a huge part of the early beginnings of the 700 Club, PTL Network, TBN Network, and the Gospel Singing Jubilee–a weekly television show featuring popular Gospel singing groups of that era. Because of their television exposure and Gospel radio DJs who played The Rambos’ music, they were catapulted in the record industry. With over 70 releases/projects, The Rambos became a household name in America, Central America, Bahamas, and Europe. Buck Rambo touched the lives of everyone he met in and out of the music field. His passion and zeal for God and the ministry led him to mentor many artists with his wisdom garnered from the years he spent in every facet of the industry from singing to publishing and everything in between. Arrangements are forth coming and being handled by Williamson Memorial Home in Franklin Tennessee. Their website is http://www.williamsonmemorial.com/. 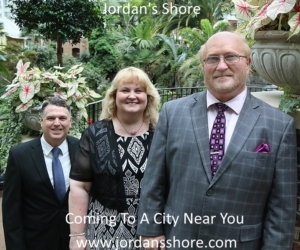 Portsmouth, OH – In their first ten years of ministry, The Lore Family have been embraced by fans, radio, promoters and pastors as they shared Songs, Sermons and Seminars. In 2015, The Lore Family enjoyed a successful year in radio that saw them hitting the top 40 in Southern Gospel charts for most of the year. 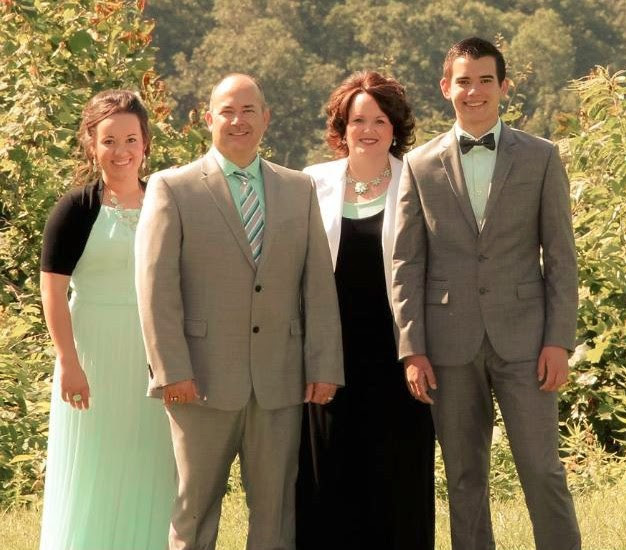 In recent months, The Lore Family entered into full-time ministry. The family continues to launch out to make a greater impact in 2016. The Lore Family’s current single, “I Lived to Tell About It,” has become the groups’ first top ten. “Trace the Grace” is their next single. This song is the fourth release from their “Mount Testimony” project. The Lore Family ministers in over 200 concerts and services per year. A concert will include gospel classics, today’s favorites and new songs. Many of the new originals have been written by Darren W. Lore. Their smooth sound and classic family harmonies make them a favorite everywhere they perform. Lore Family concerts have been called “real”, “authentic”, “ministry-minded” and “anointed”. The Lore Family Ministries also include various seminars. Fayth Lore will soon host her fourth ‘True Purpose’ Conference, in April. The ‘True Purpose’ Conferences are designed to equip young ladies (ages 10+) to fall in love with their Creator and discover His unique design for their lives. The Lore Family will also host the ‘Real Women’ Retreat, this May. This retreat will be held in the heart of Amish country, in Central Ohio. The retreat quickly sold out this year. So, The Lore Family has added another hotel to the venue to accommodate the demand. The Lore’s also host a teen conference entitled ‘Determined’. This conference is focused on reaching teenagers for Christ and helping them grow in their walk with the Lord. In two previous ‘Determined’ conferences, there were over 300 teenagers in attendance. Over 25 teens were converted. The teens left determined to follow Christ. Dating, Depression, and Drugs are some of the real life challenges that are tackled in these seminars. When asked about The Lore Family Ministry, Darren Lore said “I am very excited to see what God has in store for The Lore Family. We witnessed over 100 souls saved last year. And as a pastor, I feel that’s the most important figure in any ministry. We know that our family has been called into music evangelism. And, reaching the lost will always remain the focus.” In October 2015, The Lore Family entered into full-time ministry. Darren Lore has been a local pastor for 20 years and a community pharmacist for over 25 years. Now, The Lore Family partners with pastors to help provide congregational singing, preaching, special concerts and seminars. The Lore Family includes parents Darren and Sandy, as well as, their children Samuel (18) and Fayth (20). Samuel and Fayth attend Ohio Christian University through their on-line program. This program enables them to balance their full-time ministry with schoolwork. Fayth is currently studying business management. And, Samuel, who answered the call to preach, is studying ministerial studies. In 2015, The Lore Family was nominated as a Top 10 new mixed group by the fans of The Singing News magazine. Nashville, Tennessee (February 12, 2016) Performing Rights organization SESAC congratulates songwriter Jerry Salley for his contributions to the 58th Annual GRAMMY® Awards which will broadcast live February 15, 2016 from Staples Center in Los Angeles. Salley co-wrote a song on the album Traveller, recorded by new country sensation Chris Stapleton. Traveller has received multi-GRAMMY nominations including Album Of The Year and Best Country Album Of The Year. Stapleton is scheduled to perform on the televised event. In addition to the GRAMMY nominations, the Traveller project is also nominated for the 51st Annual Academy of Country Music Award for Album Of The Year. Salley is also a co-writer on no less than three (3) songs on the GRAMMY nominated Best Bluegrass Album of the Year, The Muscle Shoals Recordings, by The Steeldrivers. Salley has started off 2016 strong with a chart topping bluegrass song, “Long Way Down”, recorded by the Steeldrivers and currently has a song in the top 10 Bluegrass charts with “It Could Have Been The Mandolin”, recorded by and co-written with Donna Ulisse. In addition, he has recently had multiple cuts by over 5 different country, bluegrass and Gospel artists that will be released later this spring. 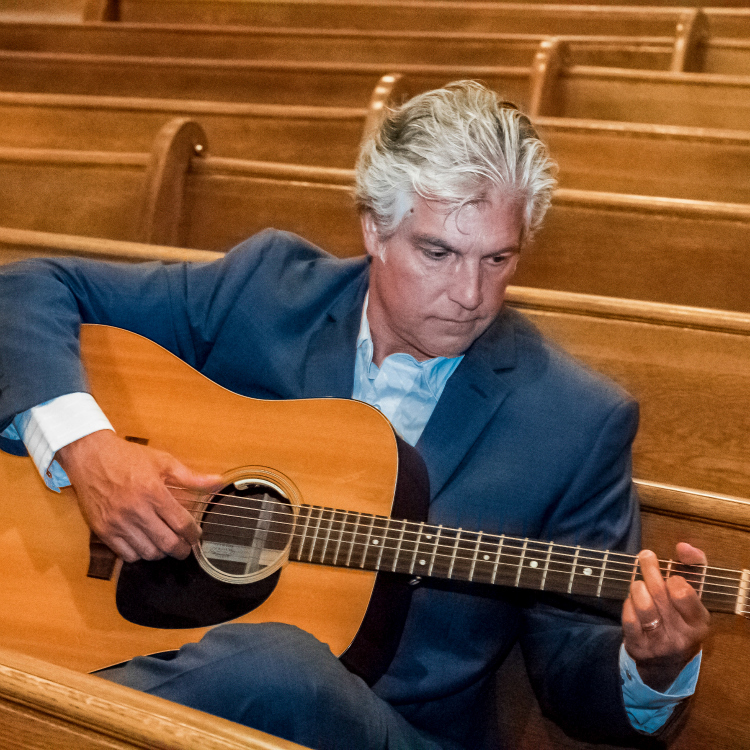 While keeping a busy writing schedule, Jerry Salley is also heavily promoting his latest solo project, Gospel From My Grassroots, an all bluegrass gospel project. Salley is currently booked at several churches and church events this winter/spring including the Fellowship Church in Englewood, Florida later this month and Sherwood Baptist Church in Albany, Georgia in March. Visit Jerry’s website, www.jerrysalley.com, for a full listing of scheduled appearances.